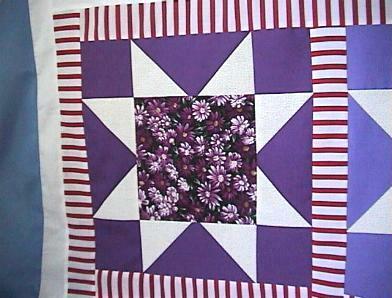 This is a pretty new Sawtooth stars theme quilt top that I made. 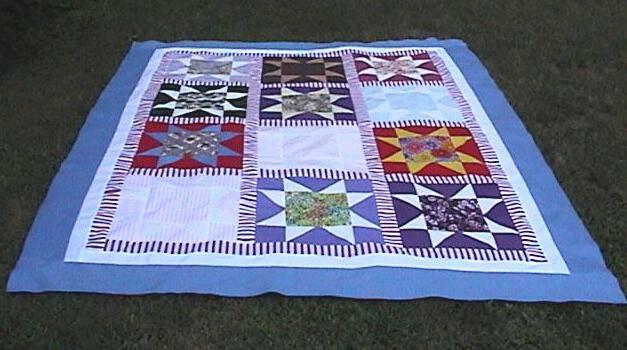 These gorgeous blocks were put together, thereby creating a really starrrrrrry quilt top. LOL. 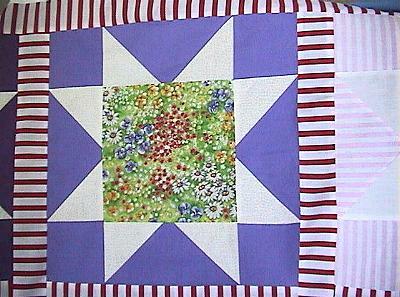 The soft blocks are pale pinks and blues. I've shown close-ups of the others. The brown is a chocolate with tan points. 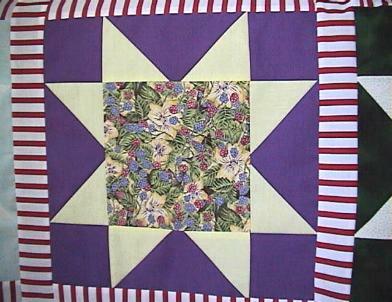 This lovely top has 3 borders. 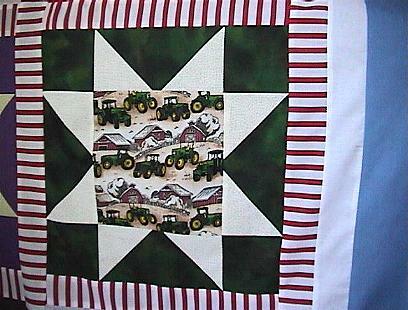 This quilt top was sewn together on my sewing machine. 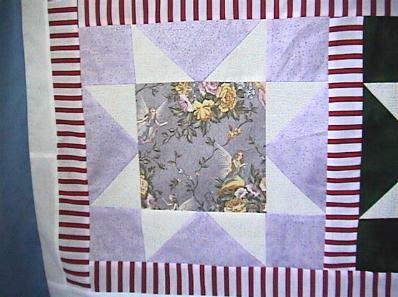 I pieced the blocks individually and then sewed them together with sashing in between each block. There is a John Deere tractors block. 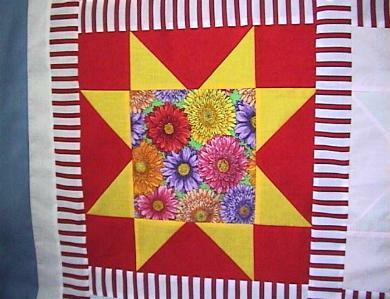 Several vibrant and beautiful floral blocks. 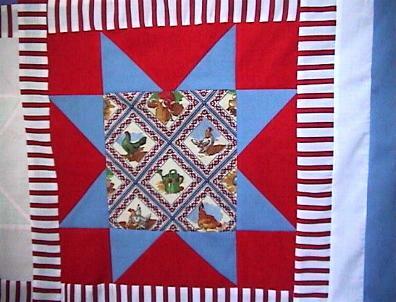 Quilt this one and create a family heirloom. Use it throughout the year, or for special occasions. 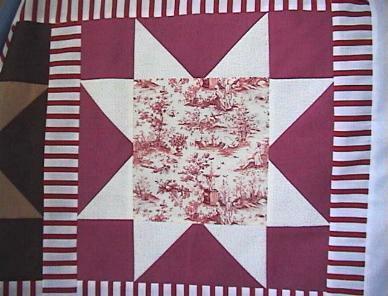 Fabrics are mostly good quality 100% cottons with a few cotton/poly blends. All good quality.